After first playing Metroid Prime 2: Echoes and realising how great it was (and still is) it was a must to get Metroid Prime 3: Corruption for the Wii. Let me start by saying Retro Studios have done themselves proud again. 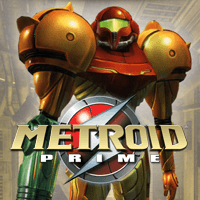 You would have thought like most trilogies that have been going this long, the story and plot would be getting a bit thin but this is not the case with Metroid Prime 3. Again we play as Samus Aran, bounty hunter extraordinaire as she assists the Galactic Federation in their fight against our old foes, the Space Pirates. While these guys attack the Federation and Samus and her fellow bounty hunters are fending them off, who should make an appearance but the infamous Dark Samus (Important character from Metroid Prime 2: Echoe). She incapacitates them all with a mutagenic material called Phazon. After losing contact with the other hunters, the Federation sends Samus on a mission to determine what happened to them. She works to prevent the Phazon from spreading further while being slowly corrupted by the Phazon within her. Another minor thing is that all the characters we have to interact with now speak in plain English, unlike the previous games alien blurb, which does make it a lot easier to get on with the game and its plot. The controls are more or less the same as the Gamecube versions, which will make it an easy transition for any players of the previous games, but will also be easy for anyone new to Metroid Prime. It also takes advantage of the Wii remote and nuchuck with new major enhancement like the Phazon Enhancement Device. This allows you to go into hypermode and attack causing outrageous damage. But be warned it only lasts for a short while, which later in the game runs the risk of overloading, forcing you to fire like crazy or else Samus bites the dust. Another new upgrade that has been added to the cannon is the nova beam, which in itself used with the x-ray visor can be used to shoot at enemies and objects through solid walls. Of course where would we be without the morph ball puzzles thrown in throughout the game. For anyone who hasn't got a clue what this is, Samus Aran has another hidden talent of being able to morph into a ball, which allows her to fit through small gaps and roll through tunnels. Some may think this is a short review, but I would just be repeating what has already been said in the previous reviews of the Metroid Prime games. Retro Studios who have produced all the other versions have again created a masterpiece with attention to detail, from the surrounding environments, to the characters, music and sound effects. Maybe a few more years will pass and we will see Metroid Prime 4... who knows. But going from track record I would pre-order it now! If you only like to play games with linear plots going from A to B then this might not be for you, since there is a lot of backtracking through levels and locations (not as much as previous versions of the game). But I would still say give it a try. If you are a fan of the previous games then trust me... you will not be disappointed. This is a great conclusion to the trilogy. Metroid Prime 3: Corruption is simply a fantastic game and well worth adding to your collection! BUY IT NOW and don't deprive your Wii of this spectacular game of which I don't say that often about many games!